Many tools on construction sites are powered by compressed air. To use them, you need to have air compressors on site. These devices pressurize air so that when it is released, it comes out with significant force, making it a viable power source. 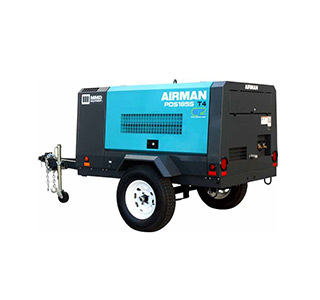 We carry two types of air compressors: portable models and stationary models. Portable models have wheels and a handle to allow you to move them around and can be powered by electricity, gas, or diesel. Stationary models are fixed in a single location and must be towed from place to place. These models tend to be larger and can power numerous tools at once. Air compressors can power pneumatic drills and jackhammers and can even be used on dirt to prevent landslides. As such, they are important items to have in construction.